Zang's discoveries would make acupuncture too simple and if everybody could do it, there would be no need for acupuncturists and there would be less work for doctors. The Aztec and Mayan civilizations also noticed this effect and to this day their shamans and even common folk have learned to use a limited yet effective form of acupressure called "sobando". Not much is known about Professor Yingqing Zhang's life. He was born in 1947. 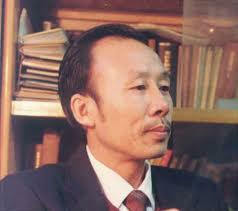 We know that he worked in medicine in Inner Mongolia during the Cultural Revolution. He eventually became a professor at Shandong University in China. His cause of death is unknown and it is unknown when or where he died. It is assumed he died in 2004 in Shandong, PRC. Upon his death, his department was shut down and his life's works including all textbooks and over a million original case studies were destroyed. As a student, he studied embryology and had a burning question which became his life's passion: Why and how does acupuncture work? He was not satisfied with the traditional explanations of invisible channels, chi or blocked energies. I have personally seen MRSA infections heal overnight from only one treatment. ECIWO acupuncture can often has surprising results. ECIWO acupuncture like medicine in general is not a panacea, but it can save the average family $10,000's of dollars in medical costs. Knowing this, a wheat breeder can develop a fine new wheat variety in only 4 years, rather than the usual 10 to 12 years. Also old "worn out" varieties can be rejuvenated to the vigor of the first original cross. The Chinese medical establishment covered up Prof. Yingqing Zhang's discoveries because there was much jealousy of his genius. It would make acupuncture too simple and if everybody could do it, there would be no need for acupuncturists and there would be less work for doctors. The California acupuncture licensing board has totally ignored my requests to accept ECIWO acupuncture as a viable healing modality. It wouldn't be good for them either.